Cross-Site Request Forgery (CSRF) is an attack that forces an end user to execute unwanted actions on a web application in which they’re currently authenticated. CSRF attacks specifically target state-changing requests, not theft of data, since the attacker has no way to see the response to the forged request. For developers, you should pay special attention to the prevention part and make sure whatever you are building is safe. There are two approaches by which Cross-site Request Forgery (CSRF) may be prevented – synchronizing the Cookie with an anti-CSRF token that has already been provided to the browser, or preventing the browser from sending Cookies to the web application in the first-place. 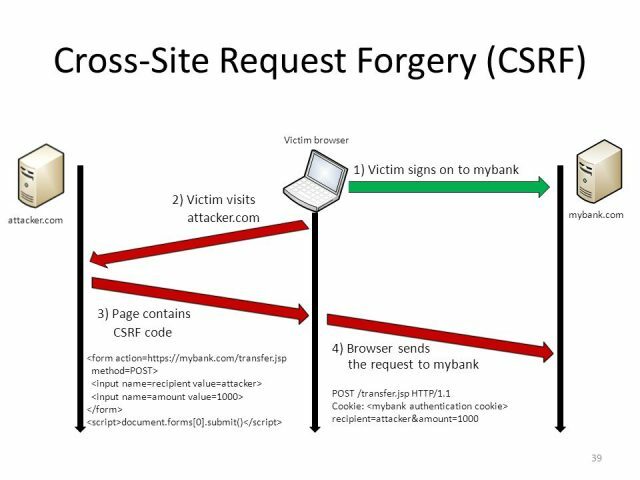 Check it out in full here: What is Cross-site Request Forgery?